Are you considering purchasing a property in Bozeman? What about hiring the right real estate agent? Time and thought goes into locating properties that interest you, beginning with geography, price points, architectural style, lifestyle, and Internet searches. Many times, though, people neglect to spend time identifying one of the most crucial elements of a real estate transaction—who represents you. Your choice of a real estate agent can easily effect you for years to come. Not only is your investment in a home considerable, but the property itself will be a contributing factor in your happiness and family’s well being. Yet, some people give little thought in deciding whom to engage to help them navigate one of life’s more important decisions. 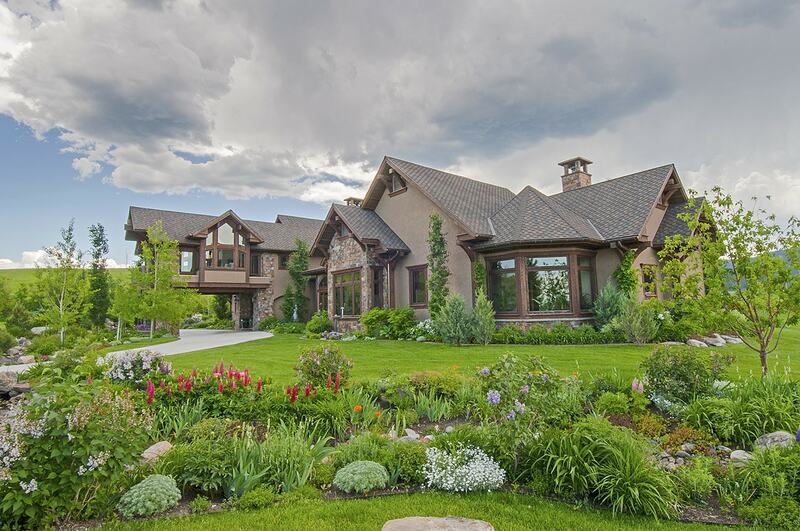 As a Realtor with PureWest Christie’s in Bozeman, Montana, I represent both Buyers and Sellers in high-end, luxury, quality properties. 12 years of experience has made me appreciate the difference between qualified, professional agents and those who are less than stellar. Does the agent have listings that interest you? An agent with listings that appeal to you probably knows your market and understands your level of tastes. Likes attract likes. Is the agent’s web site professional? Does it contain information on the area, neighborhoods, amenities, links to things of interest to you such as schools, culture, and activities? Are there testimonials or referrals? Does the agent have high marks on Zillow and other sites in which people rate their service? Do they have testimonials on their web site? Has someone you know and trust recommended the agent? Does the agent’s bio interest you? A successful agent is going to include a bio on their web site. Does it have teeth? Are their interests, hobbies, work experiences things you relate to? Remember, if you hire this agent, you are going to be spending time with them. Always better to be with someone you respect and find interesting. What is the agent’s actual real estate experience? How well does the agent know the market, the area, how to transact deals? Time and experience matter. An “Up-and- Comer” can be an excellent agent, but there are no short cuts to experience and learning the hard way. After preliminary research and narrowing your choices, contact the agent. How quickly an agent responds to an inquiry tells only part of the story. If an agent is working with a client and showing homes, it may take a few hours to get back to you. Don’t pick your agent by the first one who calls you back. And remember, email and texts do not replace actual conversation. Is the agent engaged and energetic? You want an agent who cares about you, loves their work, is upbeat, factual, and has the stamina to stick with you even if it takes months to find the right house. Positive energy is required. Are you talking the same language? Does the agent “hear” your needs, requirements, and dreams, even when you find it difficult to articulate them? Are you getting excited by the agent’s suggestions? During the conversation has the agent given you solid feedback about the homes you have expressed interest in and then offered other suggestions? Ones that interest you and meet your requirements? Follow-through is vital. A great agent will send you links to listings that may interest you, keep you informed about new properties coming on the market, send you market updates, answer your questions promptly, and generally communicate with you. Is the agent steering you only toward their listings? You are hiring representation for you, not for the agent to necessarily sell their listing. If they downplay any listing other than theirs you may not be exposed to the home that is best for you. Are you being asked to sign Buyer Agreements prior to meeting the agent? Email, texts, and phone conversations lead up to touring homes. You need to meet the agent and feel comfortable before signing binding contracts for Buyer representation. Do you feel pressured, rushed, manipulated? Buying a home is a big—and very personal—decision. Is the agent over-selling you—pushing you into a higher priced home than you want? Is the agent trying to manipulate you into a contract by saying other Buyers are making offers? You have the right to hire any real estate agent you want who is willing to sign you on as their client. It is an important relationship that should provide you with peace of mind, solid representation, good use of your time, and the basis for a respectful friendship. It is worthwhile to do your research and consider your choices in order to hire the right agent.